We loan activities, museum passes, and study rooms. 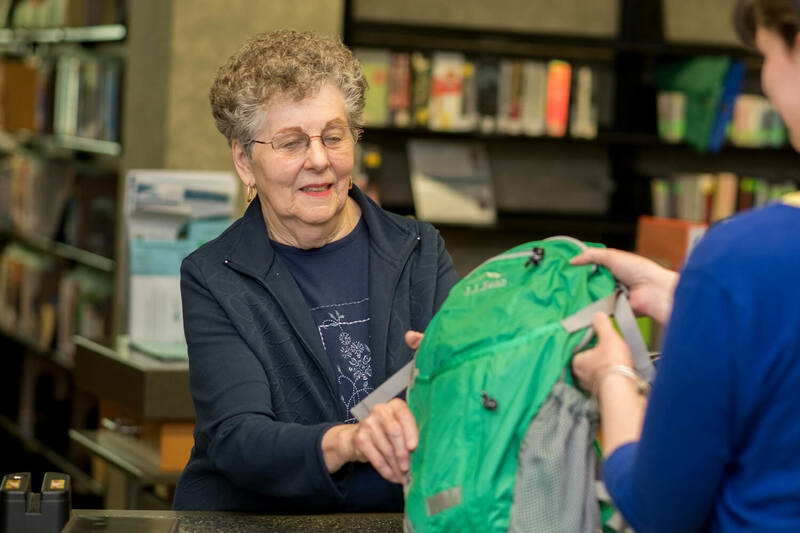 We loan backpacks, board games, and other activities to adult card holders ages 18 and older as well as children. We also loan tech devices. Museum passes are available for check out at the Ask Desk. They are generously underwritten by the Friends of the Clifton Park-Halfmoon Public Library. Card holders who live in the Library District and are 18 years of age or older. We have four study rooms available for check out at the Ask Desk. Card holders in good standing. One of our study rooms, the Co-Lab, is equipped with a collaboration/video conference table, 54” monitor, computer, speakers, microphone, and Blu-ray player that can be used by small groups of up to 6 people. It can be reserved in advance or is available for check out at the Ask Desk.